WHEN Stacey Lim turns on the radio or watches an advertisement, she is often left unamused. “I don’t understand why most of the time radio deejays who speak Mandarin or actors who portray a Chinese speak like an Ah Beng or Ah Lian. “If they think it’s cute, it’s not. It’s actually a misrepresentation of the community. We don’t go around speaking like that,” said the 37-year-old Kuala Lumpur-based business manager. Lim isn’t alone. Such stereotyping happens elsewhere. A huge debate erupted in the US after The Simpsons’ goofy Indian convenience store owner Apu Nahasapeemapetilon was heckled despite being introduced to the cartoon television series nearly three decades ago. 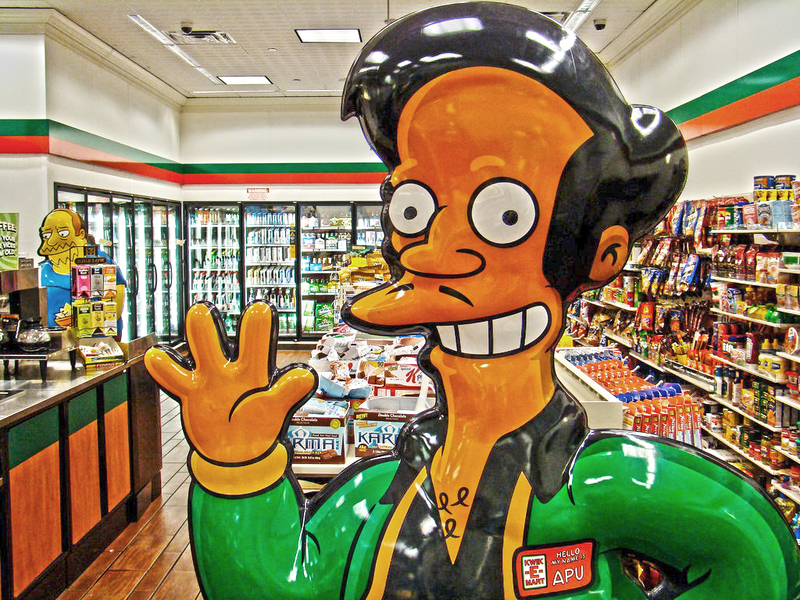 Indian-American comic Hari Kondabulu argued in a documentary last year that Apu is a character borne out of racial stereotyping. Hollywood and Bollywood star Priyanka Chopra weighed in on the issue earlier this month. In Malaysia, a similar stereotyping is seen in characters like Mei Mei, Jarjit and Muthu in the cartoon show Upin & Ipin. And in recent days, Federal Commercial Crime Investigation Department (CCID) director Datuk Seri Amar Singh, has been referred to as ‘Inspektor Saab’ – a character in Keluang Man. Are Malaysians aware or ignorant of such stereotyping? “Malaysians remain ignorant in many ways and don’t realise what is happening,” says prominent historian Prof Tan Sri Khoo Kay Kim. Khoo, who lectures at University of Malaya, said the level of ignorance was evident among his students. Khoo said he is often criticised by the Chinese media as they say he is “not Chinese”. “Even when I attend national-level meetings, the other representatives will speak about their race first. I speak up for the country. But it is not appreciated. SJK(C) Foon Yew in Johor Baru, established in 1913, was the first school to teach in Mandarin while the two towns with Chinese names are Taiping (eternal peace) and Yong Peng (everlasting peace). He pointed out not all Indians are labourers, Chinese are not all businessmen and Malays do not just work in the civil service – as such roles are often portrayed in commercials and movies. Should people be mindful of such stereotyping?